Holly Tree Farm is a working farm. David, Dawn and their three sons are the third generation to farm here. The Farm is worked in partnership with David's parents, and our sons work along-side David. and local produce. We sell our own lambs for freezer orders through the shop and into the local butchers in the area. pet lambs, they have a look at our pet rabbits and see our free range hens wandering around the farm. business people, holiday makers and anyone travelling through the area. 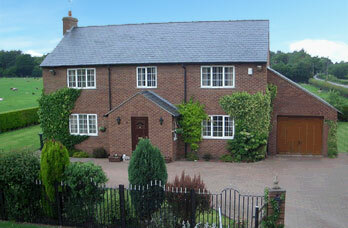 Come and stay; we'd love to show the very best that Cheshire has to offer. Very enjoyable stay, Wonderful hosts & breakfast to die for. Will certainly recommend your lovely B&B to friends to visit if in the area. Thank you. Lovely people ,spotless, comfortable rooms, Superb breakfast, will certainly be recommending! Thank you. Rachel & Ben, Luton Bedfordshire. June 2015 .